Morgantown Preserve Triples in Size! 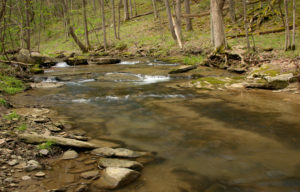 Just south of Morgantown, near Little Falls, sits an 84-acre mature forest, known as Elizabeth’s Woods Nature Preserve. In 1995, Elizabeth Zimmermann donated the property to the West Virginia Land Trust (WVLT) to be managed as a natural area available to the public for hiking and nature study. More than 20 years later, the land trust is tripling the size of the preserve and eyeing a way to open the property to the public. 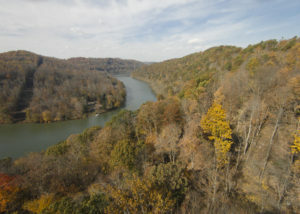 “We’ve just added another parcel to the original preserve, which will bring the Morgantown area a nearly 260-acre forested park that connects to the Mon River Rail-Trail, which is already a major recreational asset for the region,” said Brent Bailey, the land trust’s executive director. The newly acquired 174-acre parcel was donated in the will of Edward Dunlap to The Nature Conservancy in 2015. Since the tract touches Elizabeth’s Woods, it made sense for the West Virginia Land Trust to purchase the land from TNC. 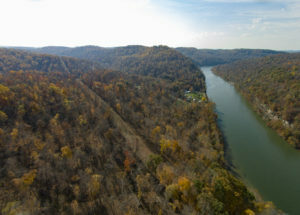 According to Bailey, the property addition, known as the Dunlap tract, is mostly forested and sits above the Monongahela River, providing both upstream and downstream views. 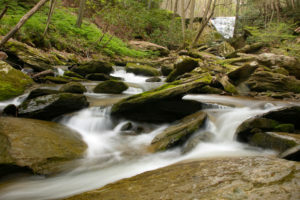 The property also includes a cascading waterfall along Tom’s Run, a tributary of the Monongahela River. “By protecting this land from being developed and restoring and maintaining the natural qualities of the streams on the property, we’re getting an added benefit of protecting water quality just upstream of Morgantown’s drinking water intakes,” Landenberger said. Landenberger, along with other land trust staff and volunteers, spent the last three years building hiking trails on the Elizabeth’s Woods Nature Preserve and has already mapped a trail network on the neighboring Dunlap tract, which connects to the rail-trail. “Our properties are connected to other private owners in the area and we are asking the public to help us be a good neighbor by not visiting the property on their own, for now, to avoid trespassing.” Bailey said. 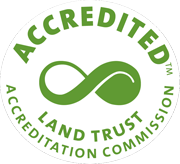 With current access being limited, visitation will be hosted by the land trust. Two community hikes are being offered at 6 PM on Thursday, August 17 and 24. Anyone interested in hiking the properties, volunteering to do trail work, or otherwise donating toward efforts to construct parking and access, is encouraged to call the West Virginia Land Trust at 304-413-0945. The preserves will be open to the public once construction of parking and access areas are complete. Fundraising for the parking area is currently underway, and those wishing to donate may do so by visiting wvlandtrust.org. “This is a big effort and we’re going to need public support to open this property to the public. It’s taken 20 years to get this far, but we’re working hard so that it’s not much longer until these properties are open to the public and are an asset for residents and visitors to the area,” said Bailey. The West Virginia Land Trust worked closely with West Virginia University’s Land Use and Sustainable Development Law Clinic to purchase the Dunlap tract.